The exterior of address Grimburgwal 2 seems to be just like any other historic Amsterdam canal house, blending in with the rest of the street. 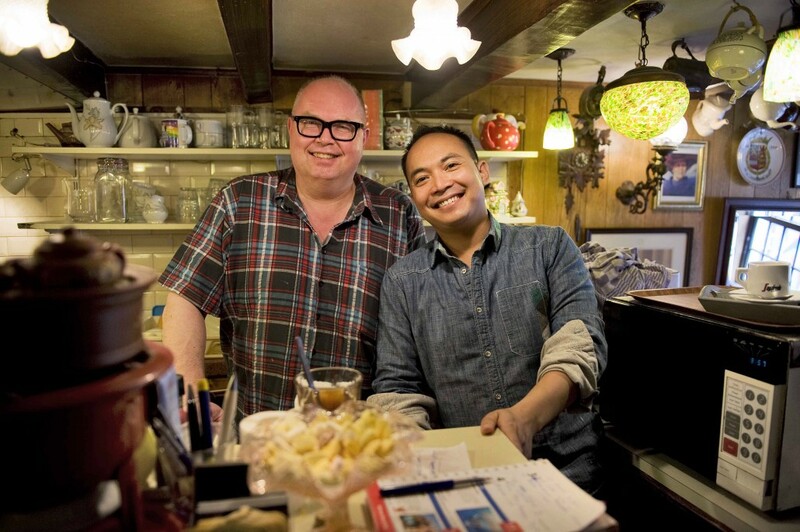 However, tucked away at the top of a steep set of stairs is a tiny, four-table restaurant owned and run by Arno Jakobs and Ali Sadikin. At first glance, this pairing of partners appears to be quite unusual. Arno, originally from the south of the Netherlands, is a large Dutch man with bold black glasses who often sports plaid button-down shirts, while Ali, from the island of Java, is a petite, mocha-colored Indonesian man. Sweet and welcoming, the couple complements each other well and runs Pannenkoekenhuis Upstairs. The small establishment exclusively serves a variety of sweet and savory Dutch pancakes, for which they have become quite famous.